The following is excerpted from a recorded general session interview by Betty Meredith with Patrick Lane, Director, Communications & Customer Contact, Oklahoma PERS and Travis Almond, SDRS Benefits/Member Services Manager, South Dakota Retirement System at the 2010 National Pre-Retirement Education Association (NPEA) Annual Conference. 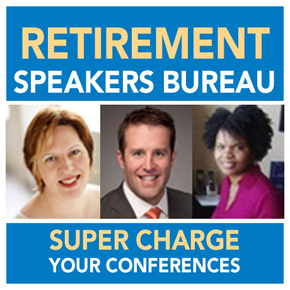 Meredith: The annual NPEA conference historically has encouraged retirement systems to share the content they have developed for their member education. I remember coming here ten years ago and seeing lots of tables where everyone displayed the materials they had developed. What we are finding as we get into Baby Boomers starting to retire is that there is additional content that retirement systems need to bring to their employees. We’ve been working with three systems that are members of NPEA to bring retirement income programs to their members. What we’ll do today instead of talking about specific topics to add to public defined benefit member education programs, is to talk about the process of what it is like to outsource education development. How can it benefit your system? What are the benefits and challenges? How can it help you take what you do now for your plan participants to the next level? How might outsourcing help you take resources that may be squeezed right now and improve the results of your face-to-face meetings with your participants, or allow you to focus on delivering the presentations instead of creating materials from scratch on your own? Before we start on the content of this session, I want both of you to share some information about your systems so the audience can see how your plan might relate to your organization. Lane: I’m Patrick from Oklahoma. The Oklahoma Public Employees Retirement System is a statewide system that covers the state and all of our counties. We have a few municipalities but we don’t cover teachers and school districts, so we have a bit of a size advantage when it comes to these kinds of programs, which we’ll discuss in a moment. We have 46,000 active members across the state. The state’s 124 agencies represent about 80% of our membership and the other 20% is in the local government realm. There are 27,000 monthly benefit recipients and 300 participating employers. We have a supplemental defined contribution plan called SoonerSave, which is a 457/401(a) defined contribution plan. Breaking down our age demographics, they are very similar to all of your plans. Our 18-29 year olds represent 11% of our membership; 30-44 represent 30% of our membership; 45-59 is 45% and 60+ is 14%. Age is going to play a part in any decisions you make as well in terms of the issues you can make age-specific. Almond: I’m Travis Almond with the South Dakota Retirement System (SDRS). We are a defined benefit plan and also offer a 457 supplemental retirement plan where Nationwide is the third party administrator. We too are a small retirement system and have about 36 staff members, 11 of which are in the member benefits service department. Our participants include the public school, state employees, municipalities, cities, as well as the Board of Regents, so we are the state plan just like Patrick’s is. The number of employer units total 471. Our active membership is 39,104; our inactive membership is 13,579; and total benefit recipients are 20,561, for a total membership of a little over 73,000. If some of you are not familiar with the geography of South Dakota, it’s interesting that we are a very small state, so the impact of our system on the state is rather huge. Our 2009 estimate for our population was 812,000, so our membership is approximately 9% of the population. Currently our funding status is about 88%; our fiscal 2010 return was 18.7%, and from what I’ve heard, that’s best in the nation. Our assets are around $6.5 billion. How did you reach the conclusion to seek outside resources? Meredith: Patrick, maybe you can share more about how at OPERS using an outside resource was on the radar for awhile. Lane: We do some really important things in helping people enter retirement, but it’s too late in the process. Travis is going to tell you the information he provides; people wish they had it earlier in their career. We’re trying to act upon that in terms of dealing with a younger audience. Meredith: Travis’ system is providing retirement income education for its members, but you’re approaching education from the financial planning perspective. What really was the light bulb to your wanting to look at financial planning education? Lane: The International Foundation for Employee Benefit Plans (IFEBP) had a great article in 2003 by Gordon Delaney and it became a primer for us showing people are not prepared for retirement. The two legs of the three-legged stool are alive and well—our pension systems and Social Security. Personal savings and investments are not there; Americans are really good spenders and not very good savers. That’s where we felt we needed to get involved, on the personal savings and investing side. Meredith: Travis, why did your system decide to broaden the education it offers? Almond: Basically we look at it as our responsibility to our membership. Members are provided a lot of education on saving and we provide general pre-retirement education, but unfortunately, when people are approaching retirement they don’t understand how to spend the monies they had saved. Meredith: OPERS did an RFP, and SDRS did a pilot format. Why don’t you, Travis, start first about the pilot process. What were some of the “gee whiz” moments you experienced? Almond: SDRS provided two focus groups for our staff members, because we wanted them to have input and understand the educational direction we were headed. We divided our office in half so we could still function as an office, but made sure that everybody could take advantage of listening to this workshop. We also provided focus groups to our membership to obtain their view of our potential new educational program. We sent out invitations to two different groups, to those that are retired and those that are 50 and older and approaching retirement. Basically, with our retiree group, we wanted to know if this was something that would have worked well for them prior to retirement. With the age 50 and over folks, we asked if this is something SDRS should provide its members as they approach retirement. Overwhelmingly the response was “yes” from everybody. Meredith: So SDRS did a test drive. OPERS, Patrick, went the RFP route. Please explain. Lane: We do have RFP requirements. When I say an RFP though, the process almost bordered on an RFI. We were flying blind a little bit when we were putting this together. We surveyed everyone and there wasn’t a lot of material there for us to refer to; we had to kind of create this on our own. Thankfully we have learned a lot from the defined contribution community; the 457 and 403(b) side of the house has been doing this for a long time. Our defined contribution administrator is very involved in his industry’s national association and he brought some good ideas. So we were trying to figure out how we could include the DB side of it, but also looking at the other list of topics. A big “gee whiz” moment for us is in the first sentence of the handout where we talk about creating “a” mid-career seminar to cover this breadth of content. It’s not possible. But we learned that. 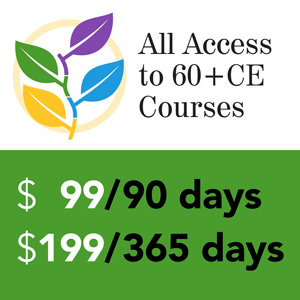 We were looking at this as a 60-minute program, but flexible enough to consider a 90-minute program. As we got questions back on the RFP ,it became apparent that a 60-minute presentation of this content was going to be an inch deep and a mile wide. We also knew going in that we wanted to provide this in a number of different ways. We knew the person-to-person was going to be very important. In a small shop like ours, with only two people who actually would be going in the field to talk to 46,000 people…good luck with that. We knew we had to have the person-to-person contact, but we also knew we were going to have to look at some other multi-media. I think the one thing we didn’t realize going in was how sophisticated our younger audience is. They realize financial strain probably more than any of us did. They’re sitting with college debt on top of them. They’re sitting with credit card debt on them. They’re spending terribly. They’re not doing much to get themselves out of that hole. They have financial burdens that maybe a lot of us didn’t have. Expanding that to our mid-career folks, people are doing things later in life. They’re having more financial repercussions right before retirement. We can’t assume a printed publication and a face-to-face seminar are sufficient. A minimum requirement now is a web interface. But we can’t turn our back on the traditional modes either, because they have worked for years and will continue to work for years. A South Dakotan and an Oklahoman–they want to see you face-to-face. But I can’t justify going out to the panhandle of Oklahoma to see 10 people, so I have to have some web content. Meredith: So what are some of the keys to success? Almond: Not only do you need the backing of your Administrator, I firmly believe that you have to share and have the support of your staff, as well as have a vision of the education you wish to provide your membership. I think providing the focus groups before we purchased anything to see the direction we really wanted to go made sense for us. We did toy around with the idea of developing our program ourselves. Unfortunately for us the resources just aren’t there; we just don’t have the staffing to allow for that. We have a small staff that handle both the internal operations of SDRS as well as travel on the road to provide our educational offerings. I’ll leave the development of programs to the experts in program development and have the resources to complete this. You just give me a product that we like and we will educate our members; that’s how we are going to do it. Lane: I agree. You have to know what you can and you can’t do. Our jobs are getting busier all the time. I talked to so many systems here that are doing pension administration system upgrades and anytime you go through an IT project, it’s like wearing three hats simultaneously. You got three full-time jobs going on, and communications folks are inevitably in that conversation. So just know what you can and can’t do going in before you make any hard and fast decisions. Meredith: What about training for the folks who deliver the courses in particular because some of these topics are very different? Almond: We actually require all our retirement planners to obtain the CRC® designation. Yes, that’s actually a requirement. They have to have that certification fulfilled within two years of employment. We look at the CRC designation as a good foundation of understanding for all the different retirement programs that are out there. It provides us with a solid background of financial planning, provides us with credibility, and provides us with a continuing education resource. Meredith: What would you do differently next time? Almond: I probably would incorporate a little bit more SDRS information within our longer workshop. The workshop is a 3 ½ hour workshop and it looks at retirement holistically versus looking at all the nuts and bolts of the retirement plan. The last thing that I would probably change and Patrick will speak on it more than I can, but I would probably have tried to roll out a new- and mid-career workshop about the same time as he’s doing right now. I think it would have been nice to be able to focus on both of those age demographics and give them good retirement information especially after seeing the evaluations we have already received. It’s definitely needed. Lane: I think we pursued two seminars just because we realized a single presentation was not possible. One was not realistic and only one was not going to be that effective. We didn’t go into this knowing that InFRE had two presentations ready to go. We were fortunate in having this learning opportunity for us. So I wouldn’t change it in hindsight because we are going to have a presentation that is going to be interesting and valuable to anyone who participates. Meredith: But it is a lot of content for a trainer to learn two programs. Lane: We’re learning a whole lot about financial products we really didn’t think about, and that’s a real learning curve. 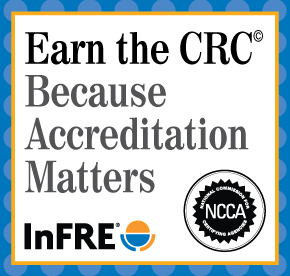 That’s why I’ve borrowed a few ideas from Travis and the idea of the CRC® designation. I think that is something that will be really valuable to all of us when we talk to our field services or our benefit analyst-types so they have that broader understanding of the whole financial picture. Meredith: I just want to end here with a call to action. Public sector defined benefit plans like yours are in a space where you can make a real difference in people’s lives by broadening the topics you bring to your members to increase the quality of retirement they experience and the legacy they leave behind. The combination of a DB and DC model is a perfect solution for the retirement security of the average person. We didn’t have the technology and resources and bandwidth five to six years ago that we have today. We now have live meeting resources and e-learning resources where attendees can hear, see and interact with content and software. Adding new topics is a win-win for all of us at a time when retirement benefits are being redefined. Additional education combines the historical paternalism of the public sector with personal responsibility. I think the public sector has a real opportunity now to make difference! Patrick W. Lane is Director, Communications & Customer Contact, of the Oklahoma Public Employees Retirement System; Travis W. Almond, CRC® is the Benefits/Member Services Manager of the South Dakota Retirement System; and Betty Meredith is the Director of Education and Research for InFRE.